I have always had a soft spot for super high heels. Unfortunately, bad feet and terrible balance make wearing heels a bad idea but that doesn’t stop me from wearing unsensible shoes most weekends. In order to survive a big night out, I have developed a routine (shocking I know) to prepare both my shoes and my feet! I have been cursed with a wide foot, which makes most heels feel incredibly tight and uncomfortable. When I know I am going to have a long night on my feet ahead of me I prep my shoes by stretching them out a bit. To do so, I put on some thick socks and wear the shoes for about thirty minutes. Typically I do this before I’m really getting ready because I like to see if there are any red spots on my feet so I can prep my feet for the tightest spots. 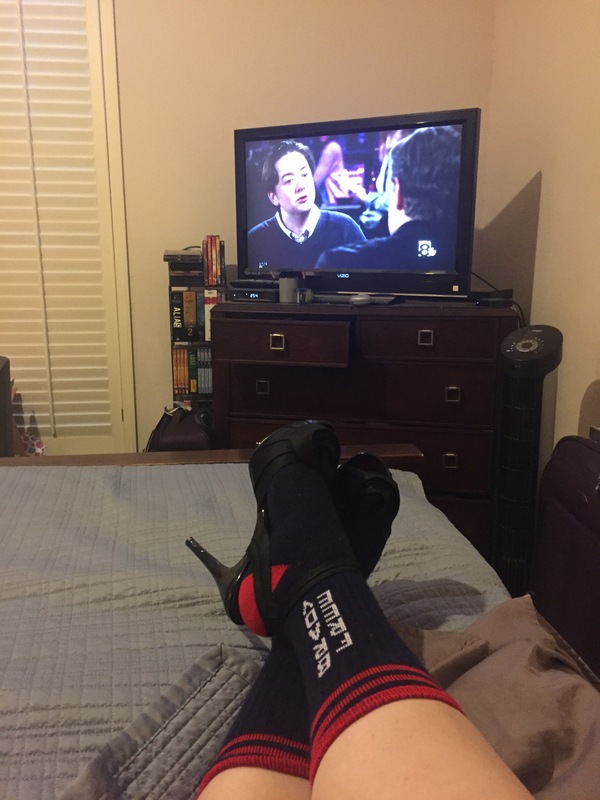 You can walk around in your socks and heels or just kick back and watch a show (which is what I like to do do)! 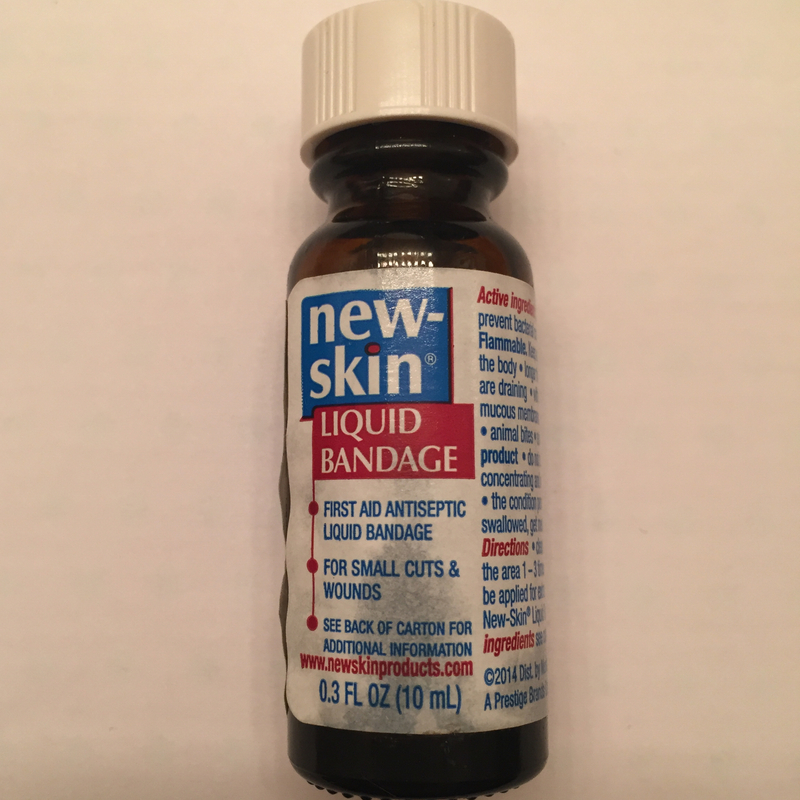 About a year ago I was reading somewhere that applying liquid bandage to your feet will prevent blisters when you wear new shoes. I kind of laughed it off but decided to try it out, and it really does work. 30 minutes before I leave, I spread the concoction on the back bone of my foot, the bones along the front sides of each foot, across the back of my toes and then at the knuckle of my toes. If I notice a red spot after stretching my shoes, I apply an extra coat to that spot. I apply a final coat right before I put my shoes on for the night. These simple tricks have helped me go one year blister free! Follow my Instagram @Jessicasgoneviral for additional tips and tricks! Halloween has always been a mixed bag of treats for me. I love seeing kiddos all dressed up in their costumes, watching scary movies and making spooky inspired snacks but dressing up as an adult has never been something I got into. When conversations about Halloween start coming up, I enthusiastically nod my head and pretend to get excited, knowing there is no way I will participate. Not only is my creativity extremely stunted, Halloween is one of the few times my typically sky high self esteem leaves me. For some unknown reason, I changed my attitude this year and decided to embrace the holiday! Friday was crazy busy, but I still wanted to look my Halloween best! I started the day in a subtle ensemble because the school I work at doesn’t celebrate Halloween. I wore a simple “This is my Costume” graphic tee that I picked up at Target with some black jeggings and my sugar skull Converse sneakers. I love these shoes and was excited that it was finally a seasonally appropriate time to wear them. In the middle of the day, I broke away for a little while to visit my favorite 5 year old for her school’s Pumpkin Day Picnic. Unfortunately it was raining, but I was prepared. I changed into an off the shoulder sweatshirt that had a witch on a broom stick and said “Frequent Flyer” and my red Hunter rain boots. I was excited to see how happy she was to show off the Hello Kitty inspired pumpkin we had decorated together! Finally it was time the night’s big festivity, a Ludacris concert with my bestie! 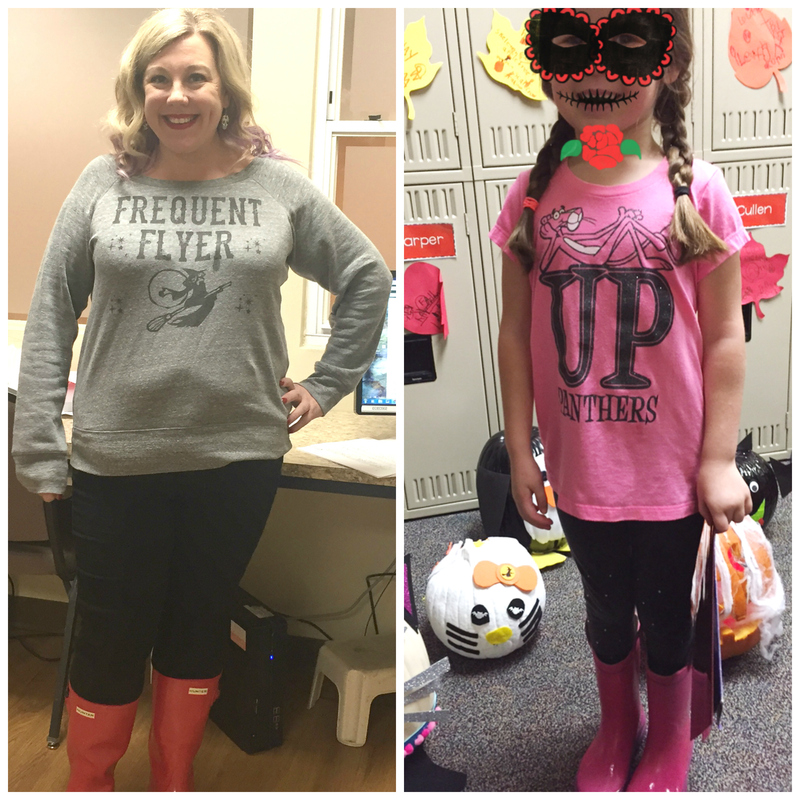 I changed into a sweater I bought on tipsyelves.com with a break dancing skeleton on it, black leggings and (because it was still raining) I stuck with my Hunter rainboots! 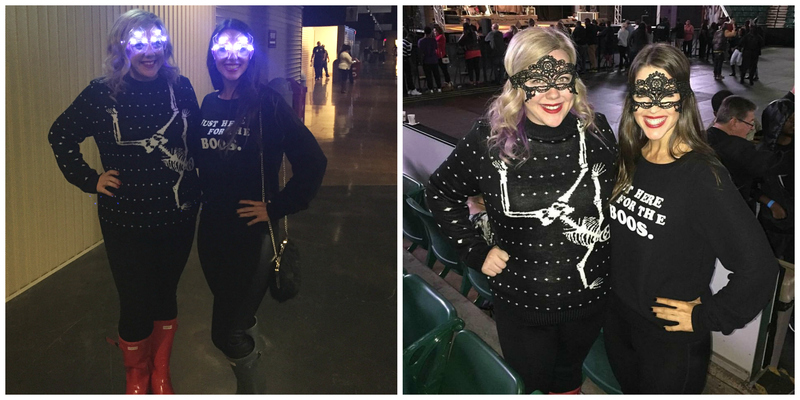 Jaime and I both love taking pictures with props so we brought fun spider light up glasses and masks with us. On Saturday, I started getting ready with a blow out from Dry Bar. This wasn’t my very favorite blow out (I usually like my curls a little tighter for the staying power), but it still looked nice. 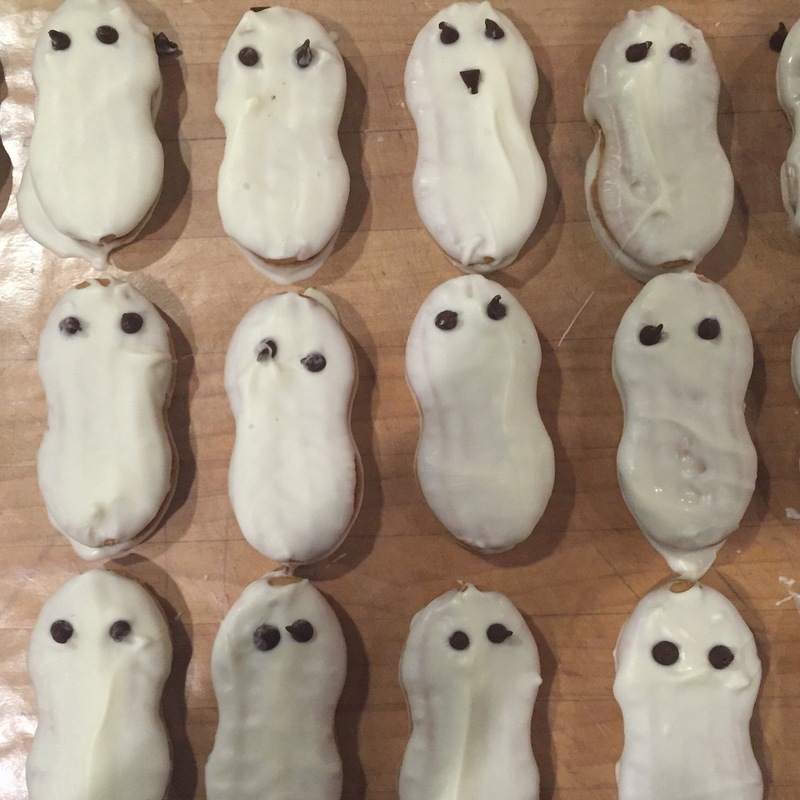 Afterwards I came home and made some little ghost cookies to bring to a pre-party I was attending that evening before going to The W with my friends! I was so excited to bring my Dia de Los Muertos concept to life with the help of my friend Nicole. She was so nervous to mess up my face (and we did have a few snafus in the middle) but it turned out great! With my makeup done it was finally time to throw on my dress and flower crown before heading out (and what a fun night it was)! As much fun as I had, taking all that makeup off was a bit of a chore, but not nearly as terrible as I had feared. I started with Julep Bareface Cleansing Oil to break down the makeup. Next, I washed my face with my Clarisonic. I finished up with a Neutrogena makeup remover wipe. 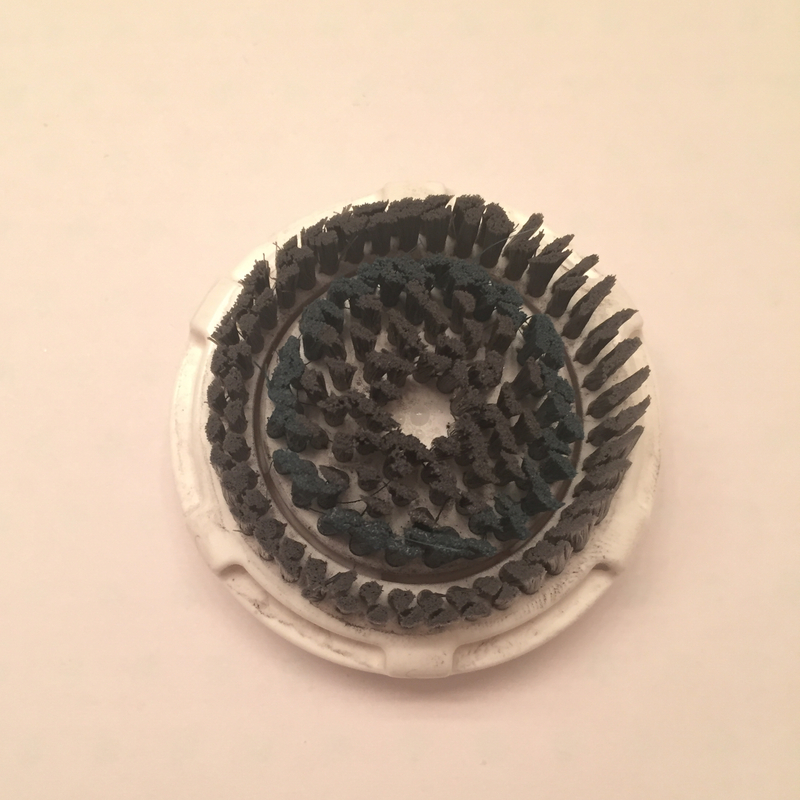 While my face was erased of all signs of makeup, my Clarisonic Deep Pore head is unsalvageable! Totally worth it! There is no coming back for this one! 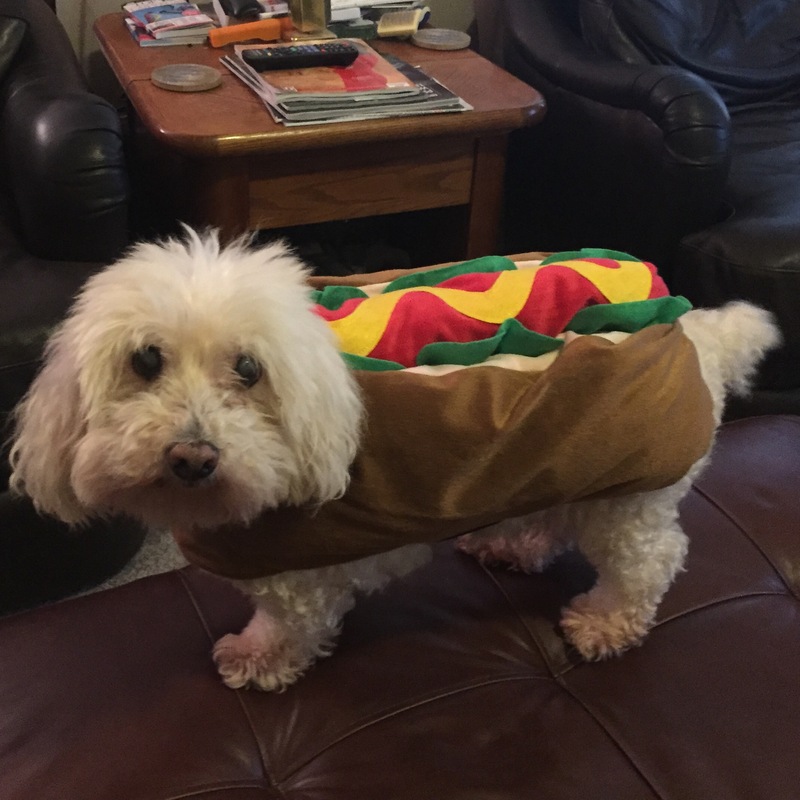 My dog Ollie getting in on the Halloween action! *I have linked each product for purchase. Each product mentioned I purchased for myself based solely on word of mouth and intuition. I have linked each product to an online retailer but do not receive any compensation if you choose to purchase from them.